When a giant army goes up against a much smaller force, the outcome is normally as expected, however sometimes the unbelievable happens. Great battles are often the ones where the underdog wins. From a Japanese commander using dummies to trick their enemy, to a force of only 13 ships defeating 330. This is a list of 10 bloody and great battles with surprising outcomes. The Battle of Okehazama was a heroic victory for Oda Nobunaga who managed to defeat a army of 25,000 men, when his army only numbered 3000. Going into this fight everyone would have expected the much larger Imagawa force to annihilate the tiny opposing force. However Nobunaga was a genius at warfare. His army was stationed at a temple called Zensho-Ji. If Imagawa had attacked them directly Nobunaga would have been completely destroyed, knowing this Nobunaga boldly went on the offensive and launched a counterattack. Nobunaga left a dummy army at Zensho-ji with a large number of banners, which tricked Imagawa into thinking he was still stationed there. Nobunaga’s army sneakily snuck through the forest and appeared at Imagawa’s rear. They stormed the Imagawa camp when they were partying and unprepared. 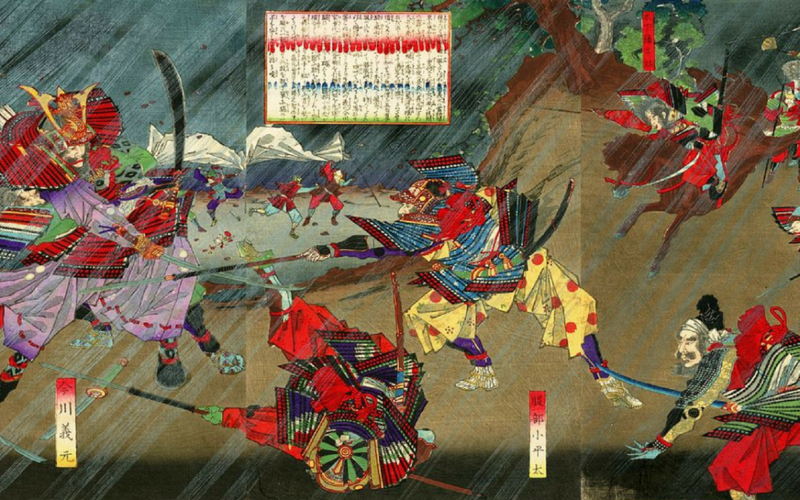 The samurai protecting Imagawa simply fled leading him undefended. 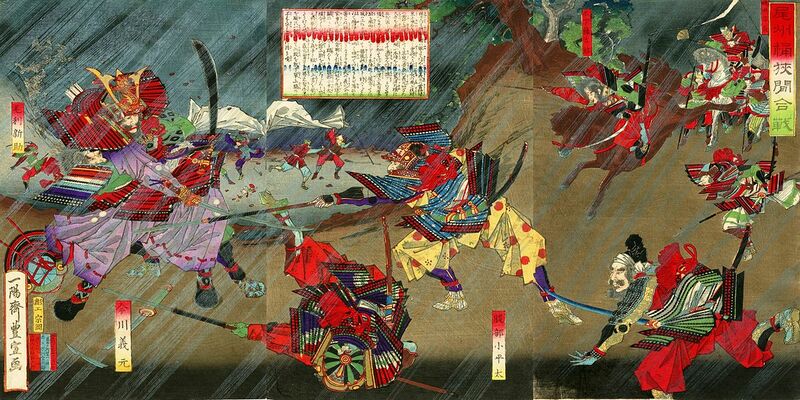 In his last moments Imagawa put up a valiant effort against two enemy samurai but was eventually slain. 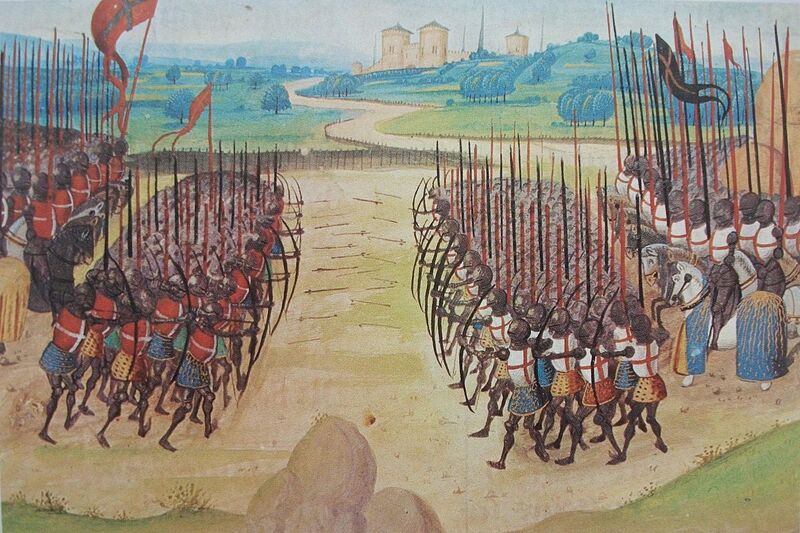 The Battle of Agincourt was one of the great battles of English and Welsh history. The English secured a decisive victory in the Hundred Years’ War. The French had a much larger force and the resulting defeat took them years to recover from. This battle was won mainly due to the English longbow, which had an easy time attacking the slow opponents from their side. The soggy landscape made the French units, in their heavy armour, extraordinarily slow. This made them easy targets for the archers. The English army was about 80% archers, who absolutely destroyed the opposing 36,000 men. The Kingdom of England only had about 6,000 to 9,000 meaning they were outnumbered 6 to 1. 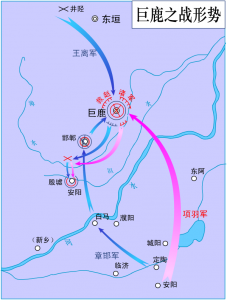 The Battle of Fei River is one of the major battles in Chinese history. A small army of 80,000 Beifu elites managed to take on and defeat an army of 870,000 Qin soldiers, killing 700,000 of the enemy. 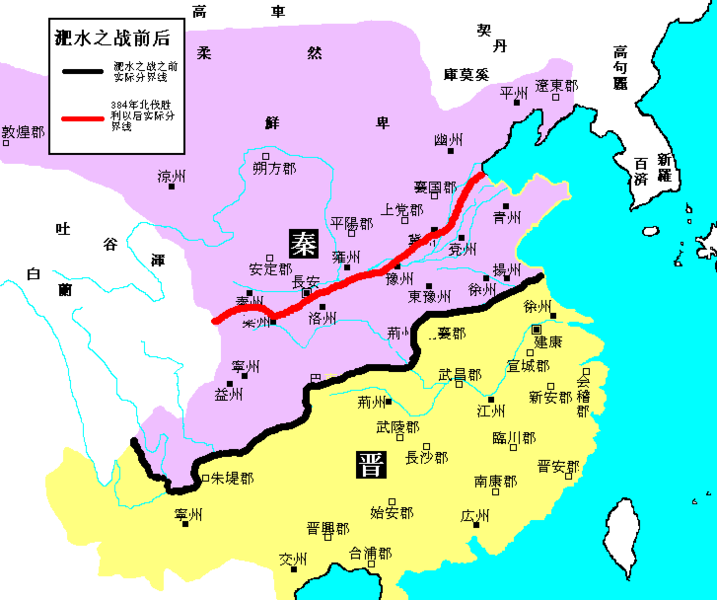 The Beifu were under the Eastern Jin Dynasty, who suffered minimal damage. Early in the battle Qin scored a quick victory and became overconfident. This cockiness lead to them losing the important city they had just gained. After winning back the city, Jin troops lined themselves up in a wide formation which made them look like a much larger force. Qin fell for this tactic. The next confrontation happened a month later, when Qin started to retreat in order to trick the Jin forces into crossing the river. Qin hoped to attack them while they were crossing. however when the Qin forces started to retreat, a Jin diplomat raised a cry that “the Qin army has been defeated”. The Qin forces were already confused as to why they were retreating, and this cry sent them into a frenzy. The cry completely demoralised them, and they routed. As the Qin forces were hunted down most of them died from combat, or starvation. There are many great battles in Chinese history but this is one of the greatest and most surprising. 50,000 troops from the rebellion state of Chu went up against a force four times their size. Chu managed to win and killed 200,000 Qin troops. 5 months later another 200,000 Qin troops surrendered and were buried alive by Chu. 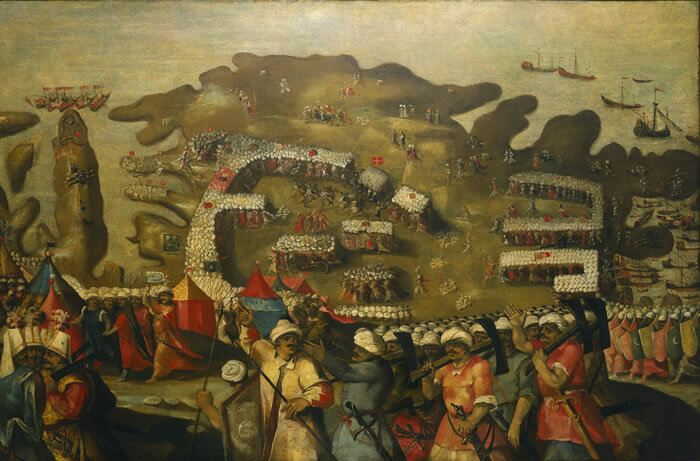 The Great Siege of Malta was a shocking victory for the Christians, who were defending against a much larger Ottoman force. 3,000 soldiers withstood the strength of 70,000 Ottomans. It became of the most famous and great battles of the 16th century. The Battle of Carrhae was fought between Rome and Parthia. Rome had many great battles in history, but this wasn’t one of them. Parthia scored a decisive victory against a Roman force about 4 or 5 times the size of their own. Rome had seven legions, with about 40,00 to 50,000 men in total. It was fought in 53 BC. Marcus Licinius Crassus marched his forces to attack Parthia, and foolishly chose to march them through the Mesopotamian desert, which would of taken a toll on his men. The Parthian king Orodes II sent a small force to delay the much larger Roman army, and was shocked to hear that they defeated the entire Roman army, and even killed Crassus. 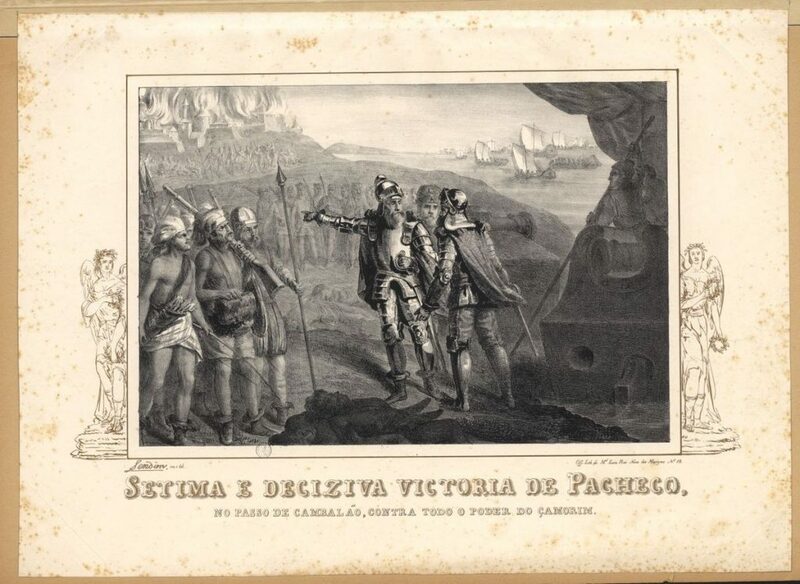 The Portugese won a decisive victory against the Calicut, killing thousands of the enemies, and having almost no one die on their side. The battle was a long series of conflicts between the two. The Portuguese managed to defeat an army hundreds of times bigger on their own. They were led by Duarte Pacheco Pereira. 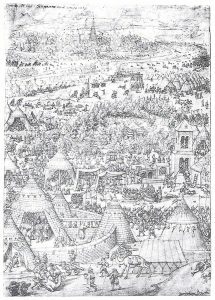 The Portugese were a tiny garrison of only around 140 Portuguese, and 200 to 1000 Cochinese men. The Calicut had up to 84,000 men, 19,000 of which died. The heroic victory is seen as one of the great battles in Portugal’s history. The embarrassing defeat undermines the authority of Zamorin of Calicut. 17,000 – 21,000 Christian Coalition troops defeated around 125,000 men, at the city of Vienna. They fought on the 27 September to the 15 October 1529. The Ottoman forces had been weakened significantly by the long journey there. The Ottomans then began to build mines to try and destroys enemies walls, but these were all found and destroyed by the defending forces. The Ottomans were beginning to run out of time. Supplies were short, and many men were either dying or deserting. As his forces slowly dwindled, the Ottoman commander made one final gamble to try and bring down the castle. This failed completely, and the Ottomans were forced to retreat. Even the retreat was devastating as they lost a lot of supplies in the process. 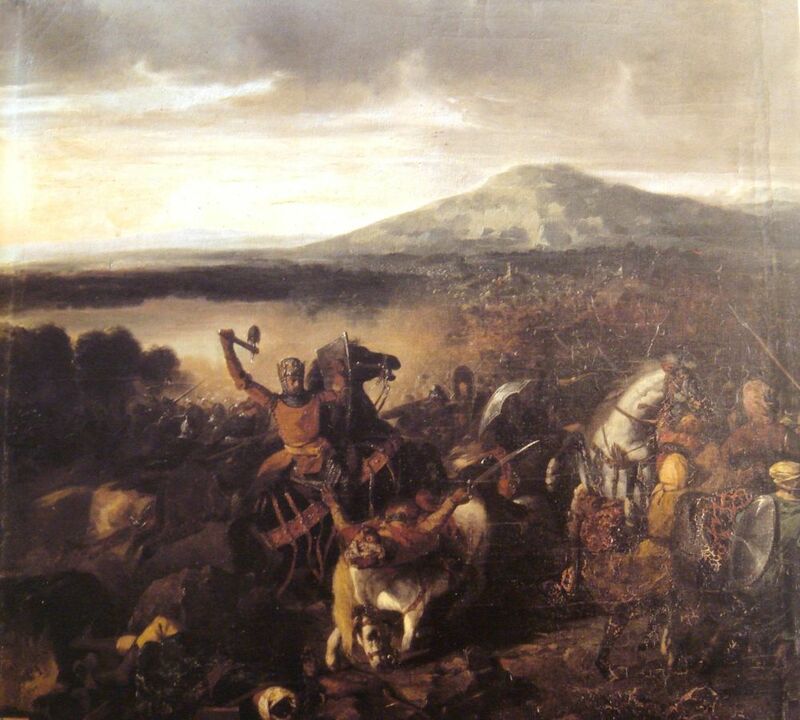 The Battle of Cerami was a famous battle during the Norman conquest of Sicily. Roger I led a successful campaign against Muslim Sicily, which lasted for years. 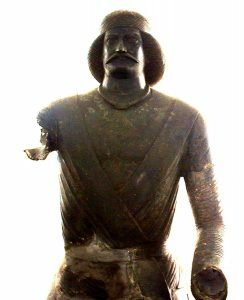 He had only 130 knights when he was attacked by a much larger Muslim force in Cerami. Amazingly they managed to hold off the superior force and even forced them to flee. The Battle of Myeongnyang is known to be one of the great battles in Korean history, and one of the greatest underdog victories in history. 13 Korean ships decimated a Japanese fleet of 330 ships. Half of the Japanese soldiers were wounded or dead, including Todo Takatora, the one commanding the Japanese fleet. 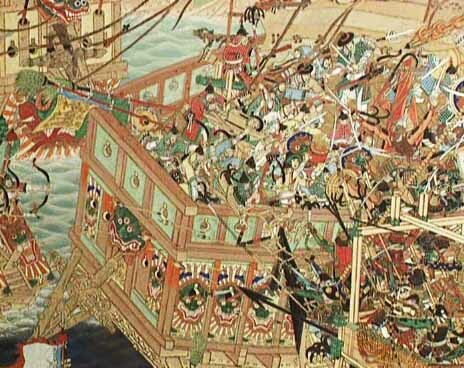 The Korean fleet was commanded by Yi Sun-sin. Yi describes how his ship was the only one standing up to the enemy fleet. “My flagship was alone facing the enemy formation. Only my ship fired cannons and arrows. None of the other ships advanced, so I could not assure our outcome. All other officers were seeking to run, as they knew this battle was against a massive force. Ship commanded by Kim Eok-chu, the Officer of Jeolla Right province, was at 1 majang (approximately 2–3 km) away.” Seeing Yi stand up to such a large army, the rest of the fleet joined him in the fighting. As the tide began to change, Takatora’s ships started to collide with each other, and Yi took advantage of this. Yi rammed his ships into the enemy, and devastated them.